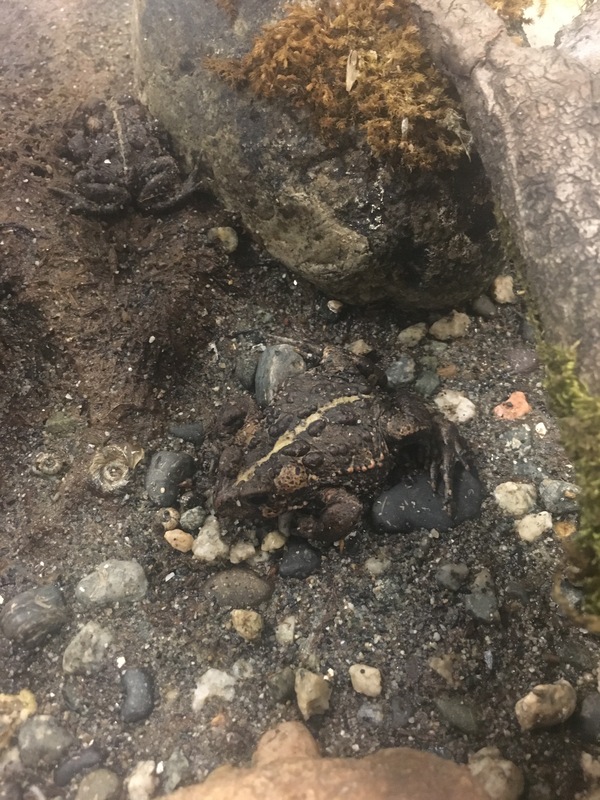 Last Spring we received some toad eggs from a friend in Squamish. 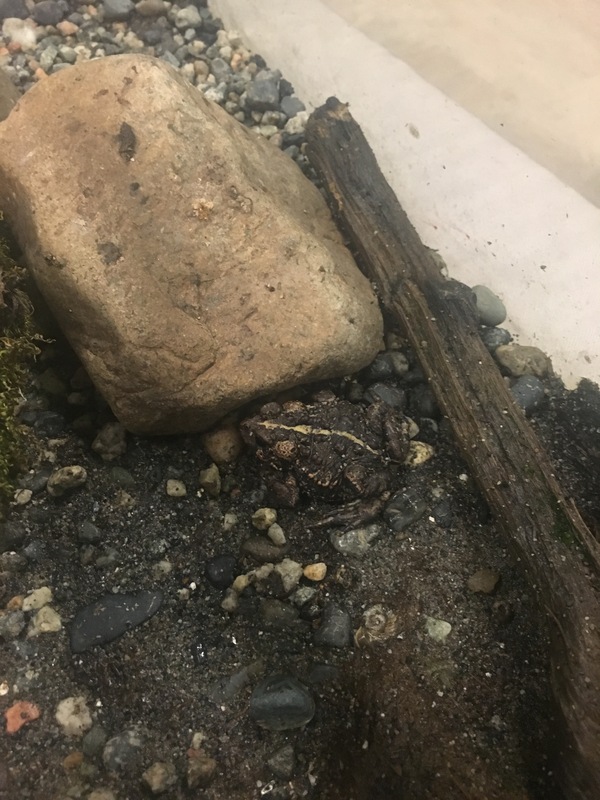 We watched them develop from eggs into tadpoles and there was a lot of excitement as we watched them get bigger and bigger eating frozen lettuce. Eventually they developed back legs and over the summer they grew front legs, absorbed their tails and became tiny little toads. The toads are now living with us for a short time before we release them into the forest. See if you can spot them in these pictures, they’re pretty hard to see!